We’re here for you, and we’re here to win. Get experience and knowledge on your side as you seek justice. An injury is a devastating experience that’s sure to cause serious hardships in your life. You don’t deserve to struggle because of someone else’s negligence. A personal injury lawyer at Will Ferguson & Associates can help. Whether you slipped and fell at Coronado Center or were seriously injured in a vehicle collision on the Big I, if you weren’t the person responsible for your accident, you shouldn’t be the one to pay for it. It doesn’t matter what type of accident you were hurt in—if another party caused it, you may be able to obtain compensation for your losses. Filing a personal injury claim against a negligent party serves multiple purposes. It allows you to hold the person who caused your injury accountable. It allows you to recover monetary compensation for the damages your injuries have caused. And it can actually keep others safe by showing that negligent parties will be held responsible for their actions. Winning an injury lawsuit isn’t easy, though. Your accident must be investigated to determine what caused it and who’s responsible. Evidence must be obtained and your settlement negotiated. Fortunately, you can secure legal help with your case by calling an Albuquerque injury lawyer at Will Ferguson & Associates. At Will Ferguson & Associates, we’re proud to be members of the New Mexico Trial Lawyers Association and Foundation. 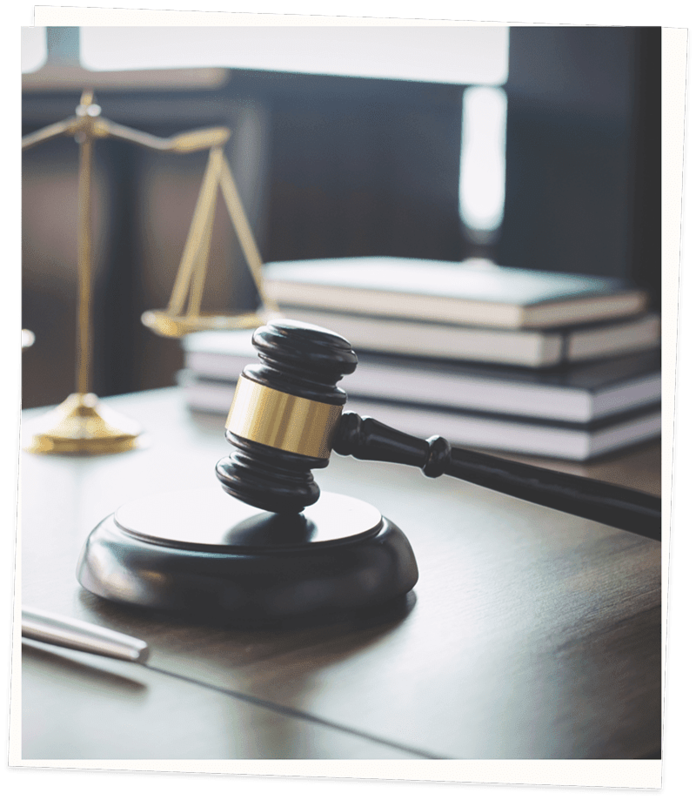 We believe in fighting to preserve the rights of all to a jury trial, and we work with the many distinguished members of this foundation to better serve New Mexico residents. We’re proud to have achieved our AV Preeminent Martindale-Hubbell Peer Review Rating. This honor is awarded only to those lawyers who have distinguished themselves through their professional conduct, ethical standards, abilities, and achievements. Only around 10 percent of attorneys make the cut to receive this designation. With membership with the American Association for Justice, we don’t just say we care about justice—we live it. We believe in worker safety, a balanced civil justice system, educating lawyers so they can advocate for their clients, and improving communities throughout New Mexico and the United States. Our membership with the State Bar of New Mexico shows that we are committed to serving the public and the legal system. 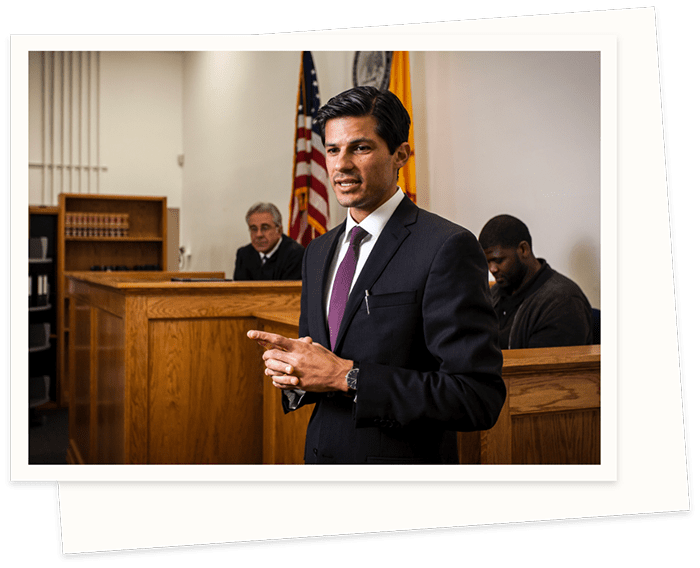 The State Bar of New Mexico also provides legal services for the elderly, helps New Mexico residents find attorneys, sponsors workshops on legal matters, and much more. Injuries can happen in many ways, but if your accident was the result of another person’s negligent behavior, you deserve justice. You can obtain compensation for your damages by filing an injury claim. Our firm can help with many accident types, including slip-and-falls, brain injuries, construction accidents, and more. Auto wrecks are known to lead to injuries. Your vehicle crash injuries could have been caused by a dangerous driver, a negligent manufacturer, a careless mechanic, or a government road authority. You can file a claim to recover damages against any person or organization that contributed to your crash. Injuries caused by motorcycle crashes are almost always serious. Your injuries could take many months to heal, leaving you with piles of medical bills that you shouldn’t have to pay when you weren’t the one who caused the accident. An attorney can help you recover the compensation you’re owed. Semi-truck crashes are often devastating. You will likely be dealing with serious injuries, extensive pain, and medical costs, and you’re probably missing out on some paychecks, as well. You can sue a negligent trucker, trucking company, or other at-fault party to recover compensation for all you’re going through. Just like anyone else, doctors can be negligent. If you’ve been hurt because a doctor gave you subpar treatment, you have rights. Suing a doctor for medical negligence may be more difficult than some injury cases, but victory is possible when you have the right lawyer on your team. Elderly adults are often abused in nursing homes because they aren’t able to protect themselves. You can file an Albuquerque personal injury claim against an abuser and the caregiving facility where the abuse took place. Your elderly loved one deserves compensation from those who have harmed him or her. If your loved one was killed in an accident that was caused by someone else’s negligence, it’s only natural that you’ll want to secure justice for your lost family member. You can ensure that your family receives justice and fair compensation by filing and winning a wrongful death claim. You buy products and probably assume that they're safe to use. They should be safe, but that isn't always the case. Sometimes, products are defective or malfunction and harm consumers like you. If you've been injured by a defective product, you can hold the manufacturer accountable for their negligence. 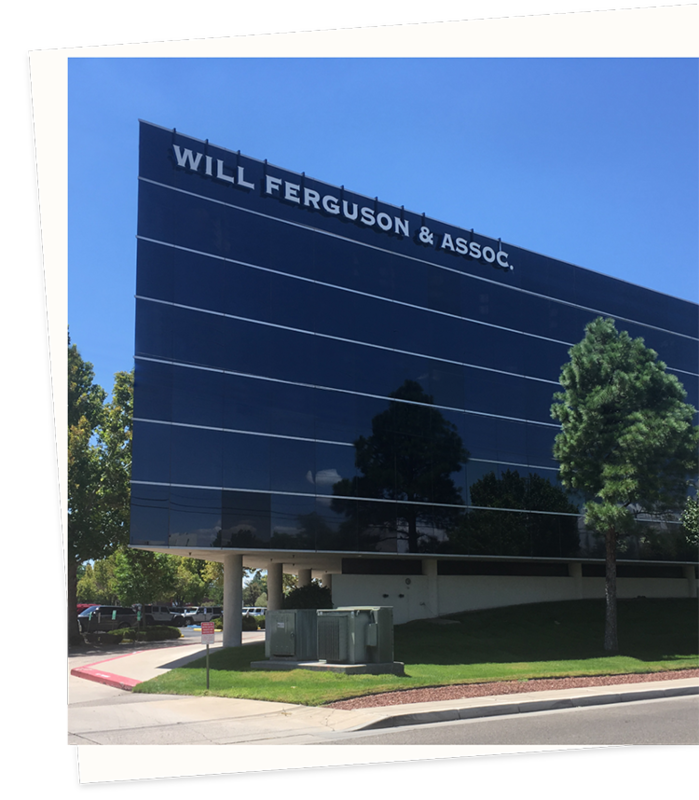 At Will Ferguson & Associates, we care about our clients. We want them to receive justice and compensation for their injuries. We’ve been helping injury victims since 1983, and we can help you, too. We are known for bringing in large settlements for our clients, and we are New Mexico’s largest and most successful personal injury law firm. But you won’t see us on billboards or in TV commercials. Most of our business comes on referral from other lawyers who value our trial work. Our practice is based on taking worthwhile cases that benefit from our expertise—expertise that maximizes our clients’ recovery. We have built our practice by practicing injury law at the highest level. We will fight to see that you receive compensation for all of your damages—both economic and non-economic—and we won’t give up until we secure the best outcome possible for your Albuquerque personal injury case. Practice is imperative to mastering anything in life. Why would winning at trial be any different? TrialMetrics helps us prepare your case for the real trial so we can win when it matters most. At Will Ferguson & Associates, we want to win your personal injury case. If your case has to go to court to win, we make sure that we’ve done everything possible for that to happen. In some cases, that means we need to practice beforehand so we can be fully prepared for court. Practice makes perfect. To that end, we began a focus group for mock trials years ago. We call it TrialMetrics. This mock trial setting is designed to help us learn more about each case and how “normal people” might react to it. 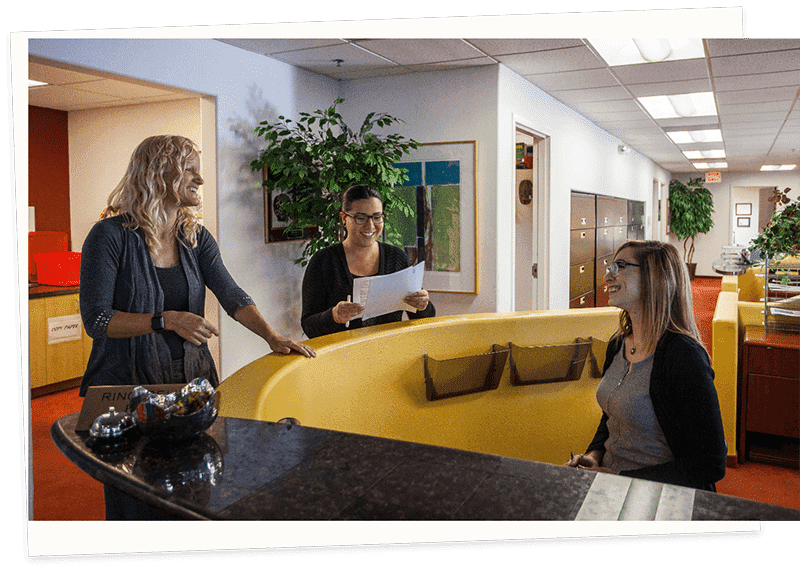 We even have a fully staffed, 8,000-square-foot building set up to perform focus groups, mock trials, and witness and trial prep. Our qualified and experienced legal team will go through your case as though we are going through a trial. That way, we can prepare for the real thing. We learn a lot throughout these mock trials, which allows us to anticipate what the opposing counsel will do or how a jury might react to certain evidence or information. TrialMetrics has been a great success for us, and we believe this tool sets our firm apart from other personal injury firms that may not make the time to “practice” before taking your case to trial. We believe in nothing more firmly than we believe in winning you the compensation you deserve for an injury you didn’t cause. That’s why we constantly look for innovative tools like TrialMetrics. When you’ve decided to file an injury claim for your accident in Albuquerque, you will probably wonder whether you should try to win your case on your own or hire a lawyer. There are many benefits to having an ABQ personal injury lawyer on your team. Facing an insurance company or an opposing attorney without a lawyer on your side is a difficult prospect, and you will most likely not be treated fairly. Having a lawyer on your team is more than just convenient—it could be the difference between winning and losing your case. When you’ve been hurt in an accident, the laws surrounding negligence allow you to file a personal injury claim. Negligence is when someone else’s careless, reckless, or willful actions cause your injury. Because of that, the at-fault party is liable for your injuries. You can sue the negligent party for compensation for your damages. To win your lawsuit, you will need to figure out what caused your accident and who was responsible for it. Once that’s determined, you will need to prove the other party’s negligence using evidence. Evidence can include car accident scene footage, photos of an accident location, or witness statements that show careless or negligent behavior. The proof your attorney gathers for you will help ensure that your side of the story is heard and understood. It also helps ensure that you’ll win and receive the compensation you need. Your end goal is likely to receive monetary compensation, which is a form of justice for your devastating experience. Compensation can pay for your financial losses, such as medical expenses pertaining to your injuries, and it can make things right by paying you back for the suffering you’ve endured. Many personal injury cases involve an insurance company at some point. After we’ve gathered evidence, we may present your case to the at-fault party’s insurance company. The goal is to prove that the insurer owes you money for the damages you’ve suffered because of an accident caused by their policyholder. In theory, the insurer should calculate your losses and hand over a check. However, insurance companies don’t like to give away money—even if the money is deserved. They will do what they can to keep money in their own pockets. That includes denying your claim with little or no reason. That’s where your lawyer comes in. One of your attorney’s jobs is to show the insurance company that you won’t be taken advantage of. We will fight hard for full compensation for your injuries, your suffering, and your other losses. Dealing with an insurance company is tough, but it’s what we’re trained to do. If the insurance company refuses to pay you fairly, that’s when your attorney can take your case into the courtroom. Our attorneys don’t hesitate to do everything necessary to see that you get paid, and we don’t let insurance companies keep you from getting your money. You can probably already think of losses that your accident has brought about in your life, but you may be wondering which of them you can request monetary compensation for. You can receive compensation for all of them. If you suffered any losses because of an accident you didn’t cause, you can seek compensation for those losses in your personal injury claim. For example, when you are handed a stack of medical bills because of the extensive medical treatment you needed after your car accident, you can add that stack to your personal injury claim. Keeping track of all of your expenses will help you prove your damages when you file your claim. Common Case Types How Were You Hurt? A person can be injured in an accident in many ways. It’s important to know as much as you can about your accident because your case type will affect how you approach your claim. Auto Wrecks – Liability could rest with a driver, a company, a manufacturer, the government, or a mechanic. Motorcycle Crashes – Another driver, a manufacturer, a mechanic, a company, or the government could be responsible for your injuries. Commercial Trucking Collisions – Liability could rest with a loading company, the trucking company, the trucker, a repair shop, a manufacturer, or the government. Medical Malpractice – Doctors, dentists, hospitals, and medical facilities can be held responsible for medical negligence. Nursing Home Abuse – A nursing home, nursing home staff, or a third party in the facility could be liable for nursing home abuse or neglect. Wrongful Death – Any person or organization responsible for the wrongful death of another can be held accountable. Dog Bites – A dog’s owner can be made to compensate you for injuries stemming from a bite. Premises Liability – A homeowner or business owner can be liable when someone is hurt on their property because of negligence. 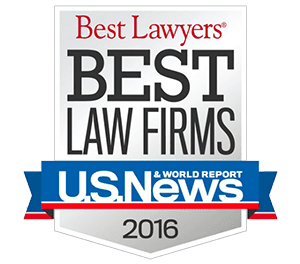 The personal injury attorneys at our Albuquerque law firm won $7,500,000 for our client in a case involving a wrongful death caused by improper cancer treatment. Our firm secured a $4,000,000 settlement for our clients in a truck accident case. The accident in question involved the failure to secure a load. The attorneys at our firm secured a settlement of $18,000,000 for the survivors of a driver and passenger killed in a rear-end collision on an interstate. Our team of experienced injury attorneys secured a settlement of $1,000,000 for an architect who was injured by falling from a roof during an inspection. We obtained a $1,000,000 settlement and a confidential settlement amount for a patient who went into cardiac arrest during spinal anesthesia and suffered brain damage. The attorneys at our Albuquerque law firm are ready to discuss your case with you during a free consultation at any time. In the meantime, if you’d like to see the answers to some of the questions we often receive, see below. What’s the difference between economic and non-economic damages? When you’ve been hurt in an accident, you suffer losses and hardships. These are called damages. Economic damages are the financial ways your accident has impacted you, such as medical treatment, property damage, and lost wages. Non-economic damages refer to pain, suffering, and trauma you endured because of the accident. What if I can’t afford to pay an ABQ injury lawyer? Many people don’t think they can afford an attorney, so they fail to secure one for their claim. This can limit the amount of compensation they ultimately receive, and it hurts their chances of winning their case. The attorneys at our firm work on a contingency-fee basis for personal injury cases. That means you don’t pay us unless we win. What happens if I share some fault for the accident? New Mexico fault laws allow you to seek damages for an accident even if you were partially to blame for the accident that harmed you. If someone else was, say, 70 percent responsible for your injuries and you were 30 percent at fault, you could only sue the other party for 70 percent of the damages. Does the severity of my injury affect the amount of compensation I can receive? Yes, it does. If you suffer only a minor injury, you can expect only a small amount of compensation. If your injury is life-changing, though, you will likely be eligible to receive a higher amount of compensation. You will likely have greater medical bills and emotional trauma, and you may be unable to work again. Will I have to go to court for my personal injury claim in Albuquerque? Probably not, but it is possible. Most cases can be settled outside of the courtroom, but if the other side isn’t willing to pay you the amount of compensation your injuries demand, your attorney will be ready to take your case to the courtroom. Don’t let the thought of court worry you—your attorney will fully prepare you. A serious injury is a life-changing event, and you could be dealing with the aftermath of your accident for a long time to come. One of the best ways of getting the justice and compensation you need is to file a successful personal injury lawsuit. That’s no easy task, but you can boost your chance of success by working with a top-rated Albuquerque personal injury lawyer at our firm. Reach out to your new legal team today by completing the free consultation form at the bottom of this page or by calling Will Ferguson & Associates at 505-243-5566.